Every great journey has a destination. In a business journey, your ultimate goal should be to find new strategies, ideas and approaches that benefit for your customers. The cloud might be the biggest such destination for many businesses in the telco industry today, and at Comptel, our cloud journey is about embracing the emerging platforms and solutions that will make life easier and better for our customers. Comptel’s cloud journey took another big step forward at this year’s Nexterday North, where we announced the addition of another cloud solution, Fastermind. Everything about Fastermind is influenced by or tailored for Generation Cloud, the savvy digital natives whose buying and engagement preferences are changing the ways telcos have to service their customers. Generation Cloud wants services on their terms, at their speed and personalized to their specific wants and needs. The cloud is the only way to deliver the dynamic, personalized services these customers crave. As an industry, the benefits that we have realized by cloud adoption is unquestionable. We are on a journey powered by the cloud for our infrastructure, engagement and business models. Therefore, a well-balanced cloud strategy that drives focus back to business top-line and in parallel drives up the cloud maturity is needed. The cloud has opened new business models that weren’t feasible in the past. It accelerates partnering, experimentation and building of ecosystems. But, it also creates complexity and dilemma with all the options that are achievable – stretching from NFV/SDN to private cloud to public cloud applications and hybrid environment, from do it yourself options to SaaS options. Service providers are on a road to cloud. Many service providers have matured their cloud infrastructure strategy and have collaborated with their vendor partners to deploy solutions in the cloud and have demonstrated clear efficiency gains. So, what’s your cloud journey look like? Are you running at the speed of business? Are unlocking new revenue streams? Is stakeholder engagement better than before? Do you have free hands to experiment new propositions? Even a small tweak to a service has a significant positive impact to the top line and experience. Future success relies on being proactive and open to engaging as a part of a broader ecosystem. Cloud as an engagement model is bringing businesses closer so they can collaborate and win together. Cloud native strategy will bring the needed maturity. Cloud directions taken today with the focus on future proactive needs is a road to cloud! At Comptel, we love the cloud. It brings us closer to our customers than ever before. We have been on a cloud journey for a long time already, as our operator customers serve more than 300 million end-customers in the private cloud environment. To date, our cloud solutions have provided our customers with important improvements in efficiency, but our upcoming product roadmap includes several important steps that will help us draw even more value out of the cloud. Stay tuned for more, and share your cloud journey! 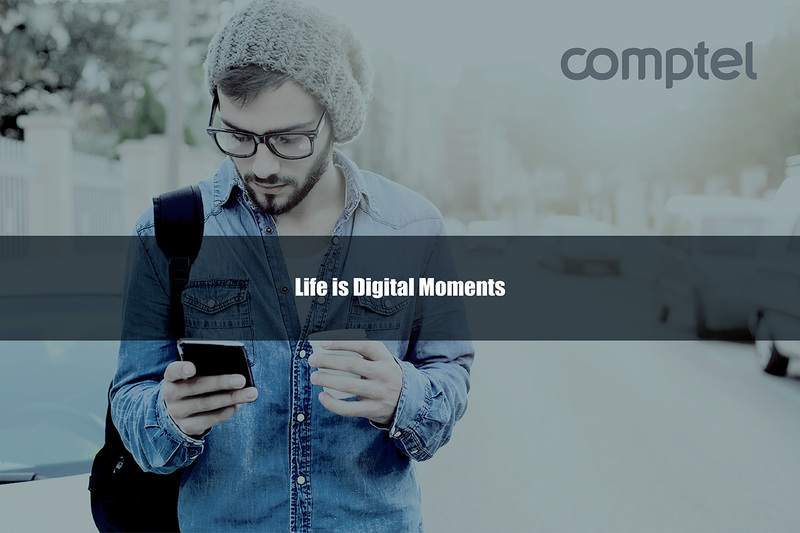 For more than a year, Comptel’s Nexterday movement has pushed forward the conversation around digital transformation in telecommunications. Now, it’s exciting to see the movement catch fire outside our industry and gain recognition from leading experts in digital media and communications. We’re honoured that Business Intelligence Group named our first book, Operation Nexterday, as one of the top campaigns of the year as part of its 2016 Public Relations and Marketing Excellence awards. The awards recognize leaders in the field of strategic communications and our book’s inclusion in the awards highlights its value in effectively communicating our vision for the future of telecommunications. In Operation Nexterday, we set out the game plan for how operators can radically update their sales, marketing and service strategies in response to customers’ increasing digital service demands. With contributions from industry experts and Comptel thought leaders, our book challenged the current way of working and described how and why operators must change. Though we’re proud Nexterday is being recognized worldwide, we know our work isn’t done yet. That’s why we published a second edition, Nexterday: Volume II, to dive deeper into the topic of digital transformation and offer blueprints on how operators can take the next step. That follow-up edition included even more insights from within and outside telco and set a course for how each operator can become a perfect digital company that works for and with its customers to meet their needs. Additionally, Comptel’s 2016 plans focus on growing the Nexterday movement. Our Nexterday Tour returns this summer, when we’ll hit the road to bring our message to regional decision makers and partners in 20 cities across the world. Everything leads up to Nexterday North 2016, our encore to last year’s inaugural anti-seminar, where we plan to introduce new voices and ideas to create an even richer, more dynamic and inspiring event. 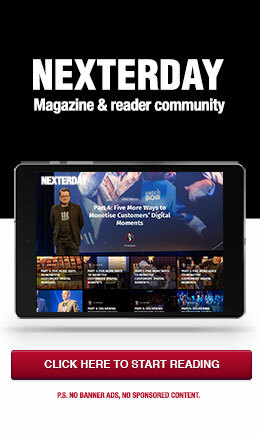 We’re thrilled to see continued excitement around Nexterday, and we’re eager to spread the word even further. To learn more about the campaign that started the movement, click here to download Operation Nexterday. You can also read articles from Nexterday: Volume II and learn more about digital transformation in telco and beyond at Nexterday.org, our online magazine and reader community. 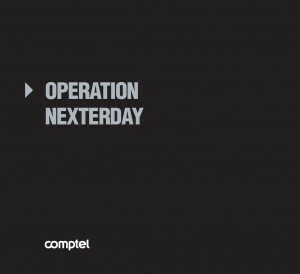 In 2015, Comptel encouraged operators to embark on their own Operation Nexterday and re-imagine their sales, marketing and service playbooks in reaction to new digital opportunities. This year, we’re asking operators to take the next step and work on designing the perfect digital company. What does such a company look like? Broadly speaking, it’s a business that is built not only to serve customers’ unique needs, but one that seeks input from those customers to inform its decisions. In other words, the prefect digital company is built for and with its customers. Digitalisation makes this possible. Generation Cloud demands highly personalised and instantly available services from operators, and they want more say in how these products actually serve them. That means customers want to be able to set service terms and avoid hard-and-fast tiered packaging that, for a long time, has defined the telco industry and limited service disruption. Customers are also increasingly surrounding themselves with a variety of apps and digital content that address their needs. This digital service ecosystem includes products from traditional telcos and non-industry players like Google and Amazon, and it’s always evolving as customers add new apps or drop services that no longer excite or intrigue them. The devices on which these services exist also play a role. The emergence of connected devices, from smartwatches to smart cars, adds a new layer – and a new level of complexity – to the digital ecosystem. Ultimately, operators must determine how they fit into all of this. Digitalisation introduces a bevy of new consumer and network technologies for operators to leverage, and it also allows telcos to think creatively about how they can serve their customers. In a bid to become the perfect digital company, operators need to open their minds to new ways of thinking and address key growth factors in various areas of their business. In a predictions piece for The Fast Mode, “Telco in 2016: Build the Perfect Digital Company For, and With, Your Customers,” we outlined four focus areas operators will need to address if they hope to achieve the dream of becoming a perfect digital company. The speed at which consumers evaluate and buy digital services is faster than ever, meaning operators need to keep pace. In 2016, operators must leverage the customer behavioural data they already have, plus customer action automation technology, to create better customer experiences. The Four Cs will define these experiences: by applying the right Context, the most appropriate Content can be delivered to the right Customer through the best possible Channels. Speed is also a critical factor when it comes to product delivery, and in 2016 operators will need to learn how to configure, test and launch services faster so that customers can build their personal digital ecosystem at a pace that works for them. To achieve this pace, operators will need to eliminate friction in the service lifecycle process, invest in tools that recognize demand quickly and embrace creative monetisation models. Network functions virtualisation (NFV) already forces operators to re-imagine how the network is built to serve new market realities, but it’s about more than flashy new technology. This year, operators need to recognise that the true potential of a flexible, agile network infrastructure is its ability to deliver a frictionless, dynamic and elastic service delivery experience for customers. As always, technology is supposed to serve human interests. Finally, operators this year must consider how the Smart Living movement will affect the development of personal digital service ecosystems. Connected devices are introducing new use cases for technology that telco may have previously lost sight of: the benefits of real-time data in improving education, the environment, personal health or global security. Operators have an important role to play in the development of these services, because they can offer the immediate data insights that power a smarter world – if they are ready to step to the plate. To date, operators have wondered how they could leverage the industry’s megatrends to benefit their own bottom line. In 2016, many will realise that the real goal should be on working for and with their customers to improve their daily lives. In taking this fresh outlook, operators will not only better serve consumers, but they’ll also unlock routes to new revenue-driving service opportunities that will shore up their relevance in the rapidly evolving digital world. New Comptel Telco CXO Study: When Consumers Talk, Do Operators Listen? To reach their customers, digital and communications services providers need to be able to speak the language of today’s digitally savvy consumers, or “Generation Cloud.” Our new study, released earlier this week, suggests that communications between both parties – mobile operators and their customers – could stand to further improve to the benefit of an enhanced digital buying experience. Comptel commissioned independent research house Vanson Bourne to survey marketing and technology executives at 50 communications and mobile operators across APAC, EMEA and Latin America. Respondents were asked for their perspectives on sales, marketing and technology investment strategies in the era of Generation Cloud. According to the results, 70 percent of CMOs and CTO/CIOs are investing in improved customer service capabilities, while 68 percent are focusing on expanding digital service offerings this year. By pointing to these two areas of investment, mobile operators are recognising the rapid change in the way end users – both individuals and businesses – buy, the type of digital services these buyers want, and how they prefer to be served. Generation Cloud, after all, knows it has all the power in the buyer/seller relationship. These digital natives are eager to research, compare and shop around for highly personalised services that meet their terms. However, mobile operators also recognise that their current ways of working limit how effectively they can reach and intrigue increasingly demanding consumers. As the survey revealed, some operators (22 percent) feel they lack an adequate understanding of their potential customers, and the wide majority (84 percent) feels current sales models have become irrelevant in a time when customers want personalised, instantaneous offers. In short, mobile operators aren’t necessarily confident that the way they communicate and serve their customers actually addresses buyers’ most pressing needs. The solution is to shift toward the type of sales, marketing and service playbook we advocate in our book, Operation Nexterday – one that puts the customer at the centre of a new, flexible and intelligent service experience. It was encouraging, then, to see the majority of respondents agree that investing in next-generation technology is a top priority. One such technology is virtualised and cloud-based infrastructure (cited by 88 percent of respondents), which empower digital and communications service providers with the optimised network architecture they need to bring new and creative services to market faster. Machine learning and process automation was another technology priority for 84 percent of survey respondents, which is a positive sign that telco CXOs see the analytical value these capabilities provide. With intelligent fast data, operators will be able to draw instant insight from the mountains of data they collect from customers, and immediately refine, enhance and act on that information with in-the-moment personalised offers. Each digital moment is a monetisation opportunity, and operators merely need the technology to maximise each one. Far from dwelling on telco shortcomings, the survey ultimately underscored that digital and communications services providers know what it will take to succeed in this new market. The question is, do operators have the tools, flexibility and creativity to make the right moves faster than their competitors? Our 2015 Telco Executive Survey includes additional insights on operator investments and sales and marketing strategies. Download the full study to learn more. Comptel’s growth accelerated towards the end of the year. Our sales in Q4 grew by approximately 21% compared to last year, and our order backlog grew significantly compared to the previous year. During the second half of 2014, we won several new customers as well as several multi-year deals with our existing customers. In Q4, we won two new customers, both in South America. Looking at the full year, we doubled our new customer wins: to eight in 2014 compared to four in 2013. Our new solutions grew almost 26% in Q4, as well. However, our full-year expectations for new solutions did not materialise as we had expected. Our current business was strong and grew by 5% in 2014 as a whole and compared to the previous year. Regionally, Asia-Pacific grew throughout the year, Europe had a very strong second half, and the Middle East performed as planned in 2014. As previously stated in 2014, our challenges were in the South America region. Our net profit improved also significantly from previous years due to some previously made tax changes in Asia and also due to some new decisions by the tax authorities. Going forward, we expect this to reduce our effective corporate tax rate. We ended the year with a solid balance sheet and continue to be net cash positive. During 2014, we secured 26 significant orders, valued over EUR 0.5 million. In 2013, the comparable number of orders was 17. The Group’s reported order backlog increased from the previous year, from EUR 40.8 in 2013 to EUR 55.2 million at the end of the 2014 financial year. The company’s total backlog including multi-year orders beyond 12 months is more than EUR 70 million. Comptel renewed its organisation in the beginning of 2015. The new organisation reflects the company’s focus on the two core business areas. Going forward, the two business units are: “Comptel Intelligent Data” and “Comptel Service Orchestration.” The Comptel Intelligent Data business unit includes Comptel Convergent Mediation, Comptel Policy and Charging Control and Analytics. The Comptel Service Orchestration business unit includes Comptel Provisioning and Activation, Comptel Fulfillment and Comptel Inventory. Moreover, the company continues to have common sales and services organisations and corporate functions. In addition, Comptel established a new business unit, which will concentrate on new ideas and products in the early stage to develop them further. The business environment and industry of telecommunications operators is at a clear turning point, since new technologies and business competitors are entering the traditional telecommunications market. We expect the trend to continue in 2015. While fundamental investments are targeted to high bandwidth, 4G and fibre networks, operators have a strong need to develop and launch new services and improve the quality of the customer experience, to gain the full potential of their investments in a heavily competitive market. Fierce competition inside the telecommunications industry and against the newcomers in the same market requires that operators improve their business processes continuously and pay special attention to their cost structure. The significance and role of software in managing the telecommunications networks and in enabling more business for operators will further increase. We expect that the implementation of new network technologies and services will slightly increase the value of the software market and will create demand for larger software delivery projects. The operators will require both services and new project deliveries that create a strong basis for business growth. Network technologies will also be moving to software-based cloud environments at an increasing pace, and will bring new and more extensive business opportunities for our service orchestration and intelligent data solutions. We expect the 2015 net sales to grow compared to the previous year, and we expect operating profit to be in the range of 8-12%, excluding one-time charges. Characteristically, a significant part of Comptel’s operating profit and net sales is generated in the second half of the year. The year 2014 ended very positively for Comptel. The team’s hard work was recognised in the form of several significant orders announced around the year’s end. With the Telefonica de Chile deal, announced on 29 December, Comptel entered a new market in South America. Comptel’s fulfillment suite is a part of the Telefonica de Chile quad-play transformation project that will enable improved customer experience for integrated wireline, wireless, Internet and TV services. On the same day, we also received a significant order from an existing customer in the Middle East region. The order value exceeded 1 million euros and comprises Comptel Convergent Mediation and Comptel Provisioning and Activation software licenses. Ten days earlier, on December 19, we announced two other customer wins. One was a multi-year deal, with a value of 10.6 million euros, that involved a license upgrade and service extension for a mobile operator customer in India. “Comptel has achieved a considerable degree of success in the Indian telecom market in recent years. The number of telecom subscribers served by Comptel’s operator customers in India has now exceeded 500 million, which is approximately 60% of the total size of the Indian telecom market,” said Juhani Hintikka, president and CEO, Comptel. The second major order we received was from a German customer belonging to a major operator group. This multi-year deal also includes Comptel Convergent Mediation and Comptel Provisioning and Activation software licenses and related services. The deal value exceeded 1 million euros. 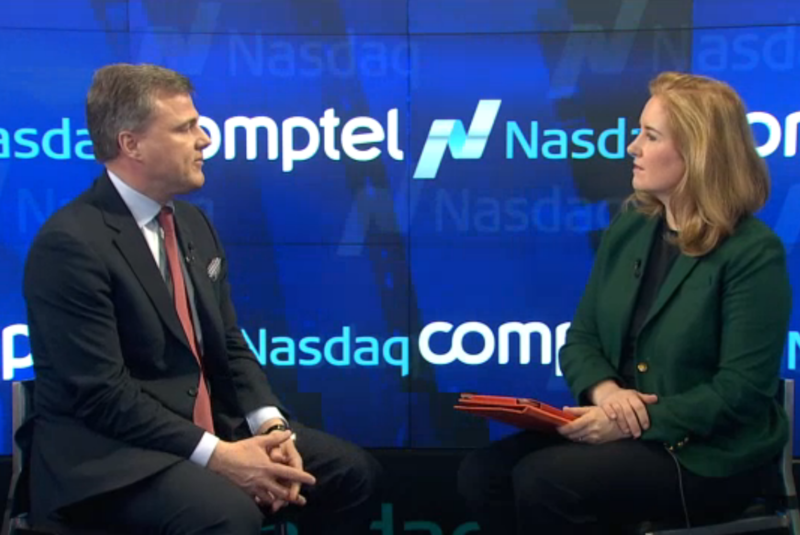 Comptel today announced a major order from Telenor in Norway. The four-year contract is a continuation of the long relationship between the companies. The deal amounting to eight million euros comprises Comptel Fulfillment software licenses and services. The Comptel Fulfillment suite of products is specifically targeted to reduce the time it takes from the first customer contact until the billable service is delivered. If the network is pre-built, which often is the case for modern DSL and FTTx networks, service delivery can be done in a matter of seconds instead of hours and days. Order Management automates the process of capturing order information and distributing the tasks to systems and involved personnel. Catalog automates the decomposition of products and services into reusable tasks for fast creation and delivery. Resource Inventory and Number Management automate the allocation of the required resources, such as network device ports and IP addresses. Activation automates the interaction with the network, pushing commands to network elements and service delivery platforms. “We are really pleased to continue our customer relationship with Telenor in Norway. It is a privilege to be part of the Telenor Norway fulfillment transformation project for their fixed network,” said Juhani Hintikka, president and CEO, Comptel.